Superstar Shah Rukh Khan has won many accolades and recognition across international platforms. He is not just an actor but a global icon who has also carved a place for himself as a philanthropist, orater and entrepreneur. After the Honorary doctorates from The University of Bedfordshire and The University of Edinburgh. 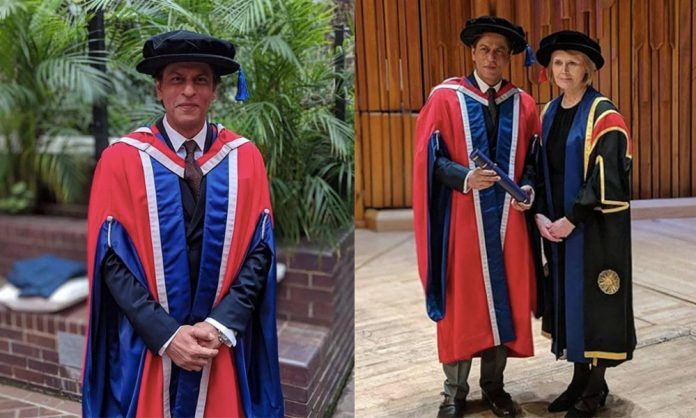 Shah Rukh Khan has been honoured yet again with an Honorary doctorate in Philanthropy by The University of Law, London. Previous articleHere’s How Hrithik Roshan Connected With The Super 30 Students! Next articleTiger Shroff And Kriti Sanon Feel Ecstatic About Their Mentor Sajid Nadiadwala!